The Thompson submachine gun was Saunders' weapon of choice. It is popularly called a Tommy gun. Fully automatic, the Thompson is an all-round field weapon of .45 caliber. It weighs 12.5 pounds when fully loaded with a 30-round magazine and is 33 inches long. The M1928 Thompson fires between 600 and 700 rounds per minute. Saunders carried extra 30-round stick magazines inside his jacket. Some soldiers carried magazine pouches on their belts that held up to three magazines. According to the Army-Navy Guide from 1942, the Thompson "is used by motorcyclists, and is usually one of the weapons on armored vehicles."  And, in Combat!, used by blond sergeants. The Thompson was the only submachine gun mass produced in any Allied country during WWII. The French and British ordered them by the tens of thousands during the war. Though they were less efficient and costlier than the German submachines guns, they had the great advantage of being readily available for Allied use! According to The Unofficial Tommy Gun Page: "In 1939, Thompsons cost the government $209 apiece. By Spring of 1942 cost reduction design changes had brought this down to $70. 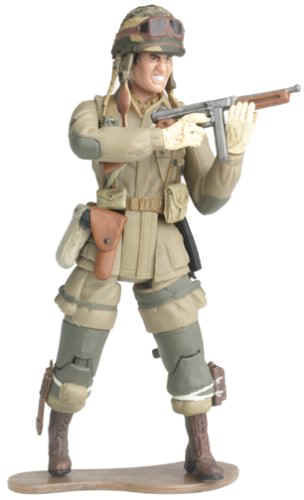 In February of 1944 the M1A1 model reached a low price of $45 each, including accessories and spare parts. But by the end of 1944, the M1A1 was replaced with the even lower cost M3 'Grease Gun.'"